MEXICO CITY, Mexico (April 5, 2019) ‒ From a competitive pool of 137 projects, WRI México and the Citi Foundation announce 7 projects to participate in the year-long incubation process of TheCityFix Labs México, starting in April 2019. Today, Ulaanbaatar, Mongolia, announced a new collaboration with the Building Efficiency Accelerator (BEA), as the partnership’s newest deep dive city. The BEA is a public-private initiative that turns global expertise into action to accelerate local government implementation of building efficiency programs and policies. Today, the City of Tshwane, South Africa, took its energy efficiency efforts to the next level, announcing new commitments to retrofit and refurbish public buildings with the assistance of the Building Efficiency Accelerator (BEA). The BEA is a public-private initiative that turns global expertise into action to accelerate local government implementation of building efficiency programs and policies. On February 15, the open call for applications to TheCityFix Labs México came to a close, attracting over 130 applications from local municipalities, companies and non-profits. TheCityFix Labs México is an effort of the Financing Sustainable Cities Initiative, implemented by WRI México and supported by Citi Foundation, to help cities understand how to better finance green infrastructure projects. Today, Eskişehir Metropolitan Municipality announced a new collaboration with the Building Efficiency Accelerator (BEA), a public-private initiative that turns global expertise into action to accelerate local government implementation of building efficiency programs and policies. On January 28th, WRI México convened experts to discuss how to catalyze the financing of green urban infrastructure within the framework of TheCityFix Labs México. TheCityFix Labs México is an effort of the Financing Sustainable Cities Initiative, implemented by WRI México and supported by Citi Foundation, to help cities understand how to better finance green infrastructure projects in Mexico. CEO of WRI India OP Agarwal speaks at the Global Housing Challenge India launch event. Photo by WRI India. 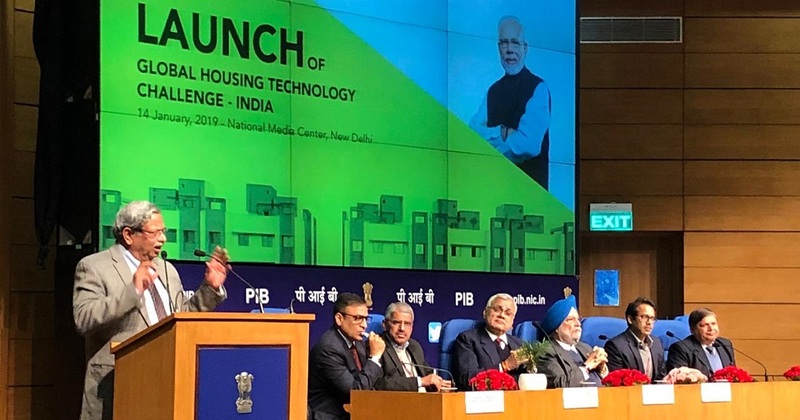 To make constructing affordable houses in India cost-effective, speedier and of high quality, Union Minister of Housing and Urban Affairs Hardeep Singh Puri launched the Global Housing Technology Challenge - India (GHTC-India) on January 14, 2019, in New Delhi. The aim of the initiative is to fast-track the construction of affordable housing and meet the target of constructing 10 million urban homes by 2022. WASHINGTON (January 31, 2019) — More than half of all people on Earth live in urban areas today and another 2.5 billion people will be added to urban areas by 2050. Urban land area is on track to increase 80 percent between now and 2030 if current trends continue. New analysis of the physical expansion of nearly 500 cities shows the challenge of rapid outward growth is greatest in lower-income cities.